A sector expert highlights that the Indian experience of significantly driving down solar prices by offering a large aggregated market to manufacturers has lessons that can yield cost benefits to ISA member countries too. As countries around the world prepare for the upcoming climate negotiations in Katowice in December 2018, much of the focus will be on determining a rulebook to action the agreement reached in Paris in 2015. As negotiators focus on the means to realise the objective of limiting the rise of temperature to well below 2 degrees Celsius, this is also an opportune moment to assess the impact of other initiatives designed to aid the realisation of this goal. One such critical initiative, led by the governments of India and France, is the International Solar Alliance (ISA). First announced by Indian Prime Minister Narendra Modi and then French President, Francois Hollande, on 30 November 2015, the ISA is designed to be a platform to bring together countries with rich solar potential along with solar innovators, developers, and financiers. With a specific focus on developing countries, that are rich in solar resource but limited by technology and capital constraints, the ISA aims to help countries scale up the deployment of solar energy to meet their energy needs. The value proposition of the ISA is to create a buyer’s market for solar, such that aggregation of solar demand across member countries can bring down prices, facilitate the scaling up of solar deployment, and encourage collaborative innovation of fit-for-purpose solar applications. The ISA became a treaty-based international intergovernmental organisation on December 6, 2017. It currently has 70 signatory member countries, of which 44 countries have ratified the ISA Framework Agreement. The founding conference hosted in March 2018, and the recent inaugural meeting of the ISA General Assembly on October 3, 2018, set a grand stage for the ISA to display action that creates real value for its member states. In order to do so, the ISA has effectively recognised five concrete areas of work. These include scaling solar applications for agricultural use; mobilising affordable finance at scale; scaling solar mini-grids; scaling solar rooftops; and scaling solar e-mobility and storage. However, there is little evidence of action on the ground thus far. In order to display action, the ISA has prioritised the work programme on scaling solar applications for agricultural use, and mobilising affordable finance at scale. Upon closer inspection, the intent is clear. Learning from the success of solar-based irrigation in India, the ISA intends to aggregate demand for solar pumps in member countries. The Indian experience of significantly driving down prices by offering a large aggregated market to manufacturers has lessons that can yield cost benefits to ISA member countries too. In order to do so, however, ISA will need to create a global market place, synchronise tendering and procurement processes, and be cognisant of the global manufacturing value chain. The effort so far has been directed towards requesting countries to express demand. However, the demand estimation has been left up to member states. This remains inaccurate in the absence of support on means of assessment, financial planning, and impact on agricultural or power sector efficiencies resulting from the adoption of solar irrigation. Similarly, on the work programme on mobilising affordable finance at scale, the ISA has identified the urgent need to increase the accessibility and affordability of capital for solar deployment. Member countries are unable to realise their domestic solar ambitions and potential due to limited private capital flows into clean energy projects. However, upon consultation with financiers and investors, the reasons for the limited flow are clear. The risks plaguing the solar sector in developing countries are prohibitive for some investor categories. The risk profile of solar projects is adversely impacted by lack of political stability, concerns around the financial health of power utilities, the absence of robust legal recourse mechanisms, and currency fluctuations. A comprehensive solution to address non- project risks is a critical need in emerging markets, that has largely been left unaddressed due to its limited incidence in more developed economies. In order to address these risks, and provide investors with a pipeline of bankable projects, the ISA appointed a Taskforce of institutions, of which CEEW served as the Secretariat. The Task Force designed a one-stop guarantee mechanism for ISA member countries – the Common Risk Mitigation Mechanism (CRMM). The CRMM addresses political risk, forex risk, and offtaker risk for solar projects in solar resource-rich but finance-constrained economies. The mechanism pools many risks across many countries to significantly lower the cost of hedging for developing countries. In principle, this single mechanism could create a pipeline of investment-grade projects. The offering of the Task Force, under the aegis of the ISA, received validation at the ISA Founding Ceremony in March 2018. Since then, efforts are underway by the World Bank and the ISA to operationalise this instrument. However, for this instrument to function effectively, the ISA needs to support member countries to develop robust policies and regulations, build strong dispute resolution mechanisms, and reduce policy uncertainty to be able to cover risk through such comprehensive solutions at lower premiums. There are no silver bullets. In order to support member states to accelerate the pace of their energy transition, with solar at the front, the ISA must be strategic in its interventions. It must not make the mistakes of international institutions of the past. Presented to prospective beneficiaries as a nimble and lean institution, with a focus on action, the time has come for the ISA to deliver. If the first year of the ISA was characterised by several high level convenings of its member states, let the coming year be the year of implementation of plans. In order to do so, the ISA will have to focus on three pillars. First, provide support to governments for data-based policy making and target setting. Second, facilitate the creation of a truly global market place – with aggregated demand such that together member countries can be price makers, rather than price takers. Finally, aid capacity building of financiers, investors, entrepreneurs, and the sector at large. The promise of the ISA is compelling. It is what has brought the 70 signatories, and still counting, in to the institution’s fold. However, the institution continues to be little understood but with member states looking to it to display leadership. Developing countries around the world hope to replicate the rapid advances India has made in scaling solar energy. Whether ISA will be the means to facilitate such South-South cooperation and transfer of lessons remains to be seen. The stakes are high, with the world watching, hoping that the ISA delivers – making the energy transition in its member states inevitable. 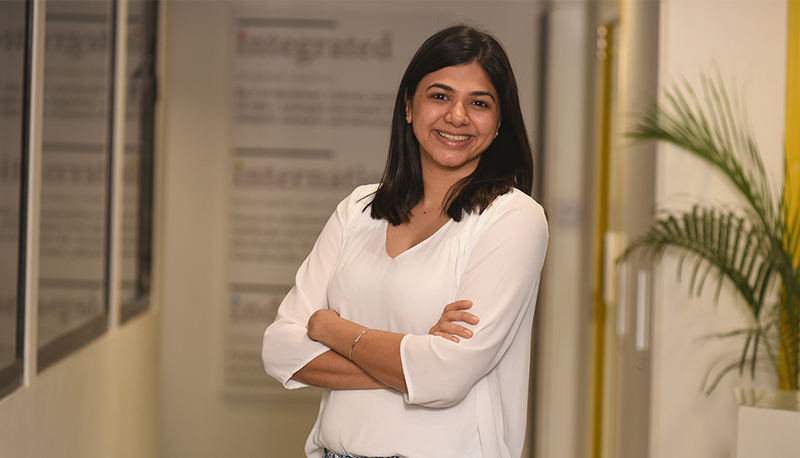 Kanika Chawla [@Kanikachawla8] is Senior Programme Lead at the Council on Energy, Environment and Water (CEEW), an independent not-for-profit policy research institution.